It seems like iPod integration is working on almost everything. I wouldn’t be surprise to find iPod integrated to vacuum cleaners and even refrigerators. One common question that keeps motorists asks thinking hard is how can I connect my iPod to my car? Each car is different and is each stereo system. Although more and more vehicles are coming with factory built-in specific connections, most people don’t own these new vehicle. Playing your car audio with the pesky CDs is becoming outdated as iPod generation is taking over. The following are different ways to connect your iPod to a car stereo. Initially, this was one of the only ways available for hooking an iPod to a car stereo system. It is an extremely easy way to listen to your vehicle’s music. All you need to do is to plug your car stereo’s FM transmitter into the iPod’s headphone socket. Then, tune your car stereo into a frequency that is different from the one being used by the radio station after which you set the transmitter to the same frequency. Your music will then be transmitted to the stereo. Transmitters usually feature programmable memory slots that enable you to save the clearest stations. This ensures that your music comes through clearly despite your location. This method is nearly the same as the one discussed above. However, it uses Apple’s Dock connector instead of the headphone socket. This translates to a slightly better sound quality and it draws a very small amount of power that it requires for operation from your iPod. Just like 3.5 mm FM transmitter, it has memory pre-sets allowing you to store the frequencies of the clearest stations thus you can easily switch between the frequencies using the buttons located in front of the transmitter. There is a "white on black" display that makes it easy for use at night. The only slight disadvantage of using the Dock connector transmitter is that it doesn’t allow for charging of an iPod. 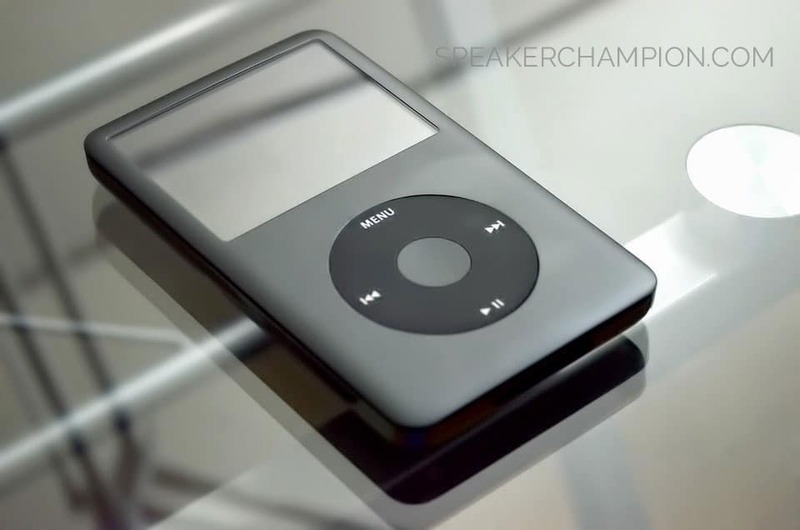 However, this shouldn’t be much of a problem as iPods features great battery life although there are times you might find yourself running low of power of your iPod. There are two types of kits available in the market; simple car kit and fitted car kits. An example of a simple car kit is the Venturi Minikit for iPod. This is more than just an FM transmitter sitting in your car’s cigarette lighter socket and provides you with multiple ways of listening to your iPod music via the car stereo. Use your classic or shuffle iPod Nano to connect to the Venturi using a 3.5mm audio cable. The Venturi broadcasts your music over the FM to your car stereo. If you you’ve got an iPhone or iPod touch, you can as well stream music over Bluetooth connection to the Venturi which then broadcasts the music to your stereo. This avoids having lots of wire trails across the car’s dashboard. There is a side USB charger port that allows you to charge your iPod. So far, this is the simplest way of connecting your iPod to a car stereo system and is compatible with all iPod models in the market. However, not all cars features visible AUX port. Some comes with the port in front of the system, others in the center console while others in the glove box. Chances are that unless you’ve fitted an aftermarket stereo system in your vehicle or bought the latest car models in the last three to four years, you don’t have one. This auxiliary jack is usually labeled "headphone jack" is becoming a standard feature in almost all vehicles. Plug one end of the AUX cable into your vehicle’s auxiliary input jack and the other end into your iPod. Although not common, this is another easy way of connecting an iPod to the car stereo system. In older car models, it is offered optional though can get if fitted into your vehicle’s stereo at a quite expensive cost. For newer cars, the USB cable interface is offered standard and you’ll just need a standard dock cable to connect it to your stereo. In most cases, this method allows the information in your device to be displayed on your car’s radio display. This option allows you to charge your iPod directly using the USB port. It is recommended that you bring your device to full volume to give you full control using the vehicle’s interface. If your vehicle is equipped with a cassette player, you can do away with the feeling that your stereo system is outdated. All you need to do is buy a cassette player adapter featuring 3.5 mm auxiliary that allows you to connect your stereo to your iPod. Just fit the adapter into your cassette player as you would do with an actual cassette. Then, plug in the accompanying auxiliary cable into your iPod. This method enables you to control your music through radio panel, so you should consider turning your device to full volume. The methods discussed above will give you full access to music on your iPod when driving hence maximum control over the songs you hear through your car’s audio system.